The reed is the most commonly associated plant to this thirteenth letter, Ngetal. The Ogham Tract[i] lists Ngetal as either the broom or the fern –and not as the reed- so this letter often causes confusion. same list of letters[iii]. This of course is simply my own speculation. We may never know why Graves chose to list the thirteenth letter of the Ogham as the Reed, but it seems to have been further promoted by most writers that followed him. Eryn Rowan Laurie, along with other reconstructionists, list this letter as being associated with the broom plant, but as noted many times before she does not see the Ogham as a tree alphabet at all but similar to the runes instead. Nowadays, most do see Ngetal as being the Reed. We must remember that the Ogham’s association with trees was likely initially mnemonic only. However, we do know that the Ogham was used for magic and likely for divination, but we cannot know for certain how the letters were utilized at all[iv]. The tree alphabet has become a tool used in such a fashion in modern days as it may have became over time a tool of power to the ancestors as well. For these reasons the reed seems to fit most comfortably within the list of the plants found in the Ogham today. The reed is obviously not a tree at all. The Celts had many uses for the plant however. They often used it in the thatching in of the roof, which would have been the final step in completing any dwelling construction. The reed would also have likely been used for flooring material in winter. The reed rod was a type of measuring stick used by the ancestors as well[v]. James Frazer speaks of the king with the reed sceptre in the Golden Bough showing us that the reed is no ordinary plant. According to Graves the reed was used to make arrow shafts and this may be why it is named in the Battle of the Trees as the “swift pursuing” one[vi]. Liz and Colin Murray also associate the reed to the arrow and say that it is the letter of “direct action”, “overcoming obstacles on a journey”, and can be used as a spiritual weapon[vii]. Robert Graves further claims that the reed was a tree to Irish poets[viii]. The research of Nigel Pennick gives us compelling reasons to believe this. Pennick reminds us that the pen of Irish scribes was composed of reed and that, “The reed was also the material from which a sort of paper or papyrus, known to the Welsh as plagawd was made”[ix]. The reed was also used for braiding together baskets and could then be synonymous with Celtic knot artwork. Ngetal in the Ogham Tract is also considered to be a few of healing. This listing –though more literally being those powers of the broom plant- is made by many Ogham teachers including John Michael Greer. The reed is also associated with music. Historically it was used in wind instruments near the mouth piece to help create the music sound. This piece of the instrument is still called the reed today. A type of Asian giant reed is usually the preferred material for this construction nowadays, but some instruments still use the traditional reed grass[x]. It should also be noted that the reed sometimes appears as its own musical instrument in Celtic fairly tales. Ngetal, the reed, is associated with higher learning, advancement, music, healing, action and art. It is this few that brings to us all of those gifts that makes us that most unique of animals. The thirteenth letter, the reed, is the few of being divinely human. It is said that the Cluricaune, an Irish fairy being, rides the reed through the air[xi]. 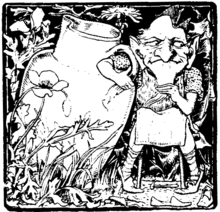 The Cluricaune looks like a little old man appearing in “antiquated dress.” He is usually found wearing a pea-green coat with large buttons and oversized shiny shoe buckles. The Cluricaune apparantly likes to smoke and drink; making his beer out of heather. The Cluricaune smokes from a small kind of pipe which is sometimes still found by farmers as they plough their fields. The Cluricaune is a trickster, but he is loyal to one particular family and will stay so as long as a single family member survives. Despite being a mischievous fellow, he usually has a degree of respect for “the master of the house.” The Cluricaune will protect the home and ward off unseen dangers. He can be extremely upset if he is forgotten. however. Like other fairy beings, the Cluricaune likes gifts to be left out for him. His connection to wine cellars seems a little suggestive. It is not unheard of for a Cluricaune to let the wine run out of a cask if he deems the household occupants covetous. The Cluricaune was basically a spirit world mobster. The Cluricaune is said to be as, “ugly as a shrivelled apple”, but he whistles at his work which he seems to enjoy immensely. He rides through the air with “great velocity” on a reed shaft from place to place. It is said that those who ride with him may take days or even weeks to return home. The stories of the Cluricaune remind us to be mindful of the spirits and to leave gifts for them. Whether these tales are contrived or whether they have a basis in truth -however unlikely or Otherworldly this may seem- there is always something to take away from these old stories. Why a reed? If the story’s make believe then what’s the purpose of the reed in the tale if we are aware of the importance of plants to the ancestors? Why not another tree or branch? If the story does have a metaphysical foundation then what powers does the Cluricaune find within the reed? Is flight literal -or more likely- something far more metaphoric? There may be more to the reed than meets the eye. 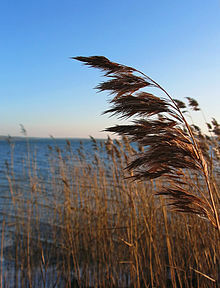 Reed grass may have an important role to play in the future of water treatment and organic sewage management[xiii]. The reed absorbs impurities from water and is used in small neighbourhood treatment ponds or marshes. “Treatment ponds are small versions of constructed wetlands which uses reed beds or other marshland plants to form an even smaller water treatment system”[xiv]. Micro organisms that live on the roots of the plant -or in the bed litter- treat the water that runs slowly through them. The Stanley Park Storm Water Treatment Wetland in Vancouver is just such a project. The wetland was created to deal with the runoff of polluted rain water from the Stanley park causeway and from the Lion’s Gate Bridge. The water was originally allowed to flow freely into the streams, Lost Lagoon, Beaver Lake, and into the Pacific Ocean itself[xv]. Now it is treated in a holistic manner to lessen any impact that may be caused from the runoff. The marshland, “Acts as a settling pond, natural treatment and filtration system for storm-water run off”. Large particles are first captured by a filtration system, then sunlight and micro organisms effectively tear apart contaminants. Slowly the water passes through deeper pools -and marsh staging areas- where reed grass and other native wetland plants break the contaminants down even further. The goal of the project is to, “Keep storm water contaminants in a controlled area so as to protect the surrounding area”[xvi]. The process of using reed beds for sewage treatment is actually quite similar. The water moves through the reed grass and the microorganisms that live in the roots and the litter break down the contaminants while utilizing the nutrients that are being offered in return. The reed, as it turns out, is a very understated tree after all. Not only is the reed a steed of the fairy kingdom, it is the bringer of music and healing, art and kingship, learning, advancement and action and it even possesses the ability to aid in the healing of the land. Ngetal, the reed, the thirteenth few of the Ogham, is the teacher that always was and always will be. It grows just beyond the shore, and in doing so, exists partially in one world, and partially in the next. [ii] For further discussion please refer to the White Goddess. Graves makes a complicated conclusion that the Song of Amergin and the Ogham were both devices referring to a Celtic tree calendar and to each other. Many accept the Celtic Tree calendar as fact however unlikely the reality of this notion is to scholars. I plan on talking about this more in the future. [iii] The Broom and the Gorse are both non-trees already and would probably have similar or identical meanings in the Ogham as they are similar looking and are very closely related. We will return to these plants when we cover the seventeenth letter of the Ogham, Ohn. [iv] If at all possible read Charles Graves’ (Robert’s grandfather) On the Ogam Beithluisnin which lists the appearance of the Ogham in many myths and legends. The copy I own is found in the Encyclopedia of Celtic Wisdom by Caitlin and John Mathews. [v] Magical Alphabets by Nigel Pennick. [vi] This is Robert Graves’ version, there are many different translations. [xi] Fairy Legends of the South of Ireland by Thomas Croker. [xiii] Eyewitness Handbooks: Herbs by Lesley Bremness. This entry was posted in Tree Ogham and tagged 13, Battle of the Trees, Broom, Celtic Knot, Celtic Symbols, Celtic Tree Calender, Charles Graves, Cluricaune, Encyclopedia of Celtic Wisdom, Fairy Legends of the South of Ireland, Golden Bough, Gorse, Herbs, Irish, James Frazer, Lesley Bremness, Magical Alphabets, Music, Ngetal, Ogham Tract, Ohn, On the Ogam Beithlusnin, Reed, Reed Bed, Robert Graves, Saibne Heinz, Song of Amergin, Stanley Park Storm Water Treatment Wetland, Thomas Croker, Tree Oracle, Vancouver, Water Treatment, White Goddess. Bookmark the permalink.